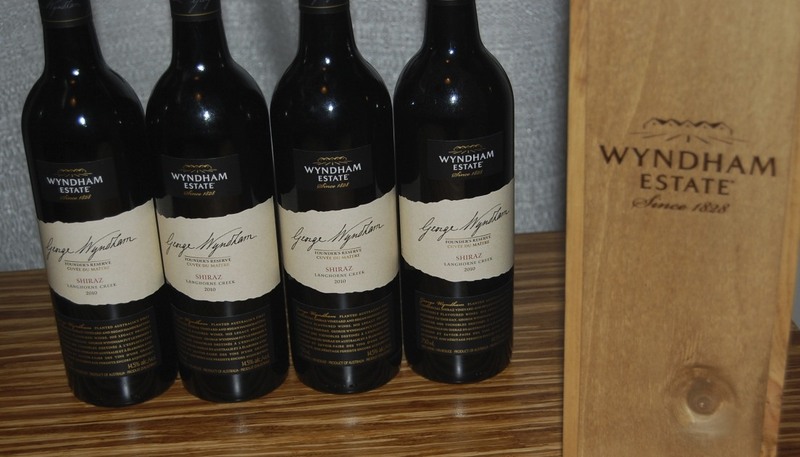 Recently I had the pleasure of attending a fantastic dinner hosted by Wyndham Estate Wines to taste their new George Wyndham Founder’s Reserve Shiraz. It was one of the best meals I’ve ever had. I was invited to join host Mark Brand, prominent restaurateur, social activist and trailblazer, for this exclusive dinner. A trailblazing entrepreneur, Mark has changed the landscape of Vancouver’s culinary and social landscape. Beginning with the original Boneta in 2007, Mark has launched a diverse collection of restaurants and retail outlets. He has also had a significant impact on the downtown eastside with the reopening of Save-On Meats and his commitment to community initiatives including a meal program. 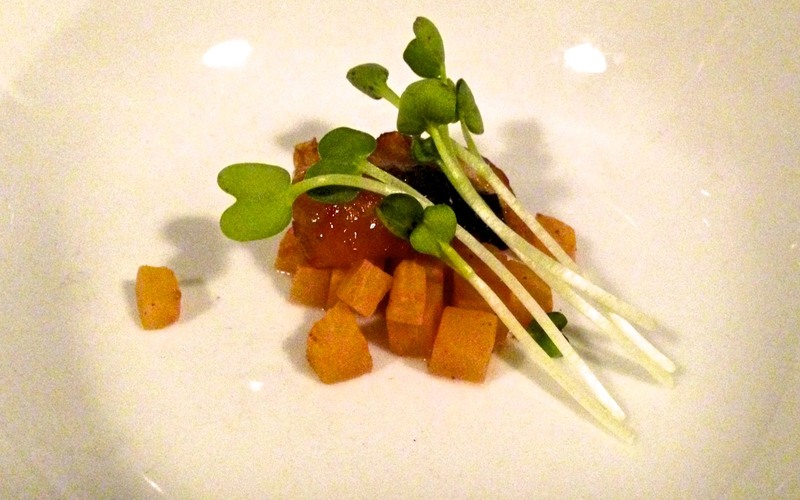 The wine was expertly complemented with a custom-designed multi-course tasting menu expertly prepared by Mark Brand’s Executive Chef Elliott Hashimoto. 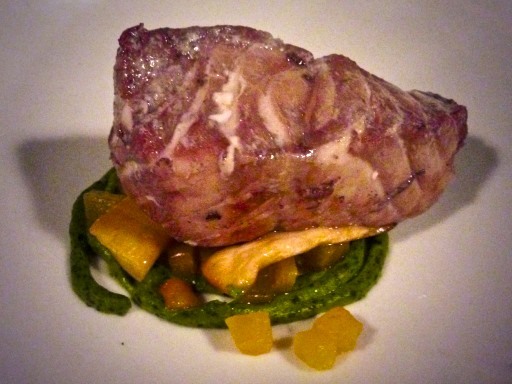 Aside from being a fantastic chef, Elliot is personable and friendly. I really enjoyed talking to him. His menu was inspired by this very versatile vintage. Recently-appointed Chief Winemaker Steve Meyer was also in attendance. Our first course was BBQ eel, Kawarre, cinnamon and daikon. George Wyndham Founder’s Reserve Shiraz is a full bodied, luscious wine with a rich mid-palate that is supported by fine velvety tannins, integrated oak nuances, ripe plum and blackberry fruit flavours. Developed in honour of George Wyndham, a true trailblazer who planted Australia’s first commercial Shiraz vineyards back in 1830, George Wyndham Founder’s Reserve Shiraz is dedicated to his passion for creating of rich, robust wines. The next course was Ling cod poached in the George Wyndham Founder’s Reserve Shiraz served with beets, king oyster mushrooms and truffles. This was an amazing dish. Poaching the cod in the Shiraz was innovating and creative. 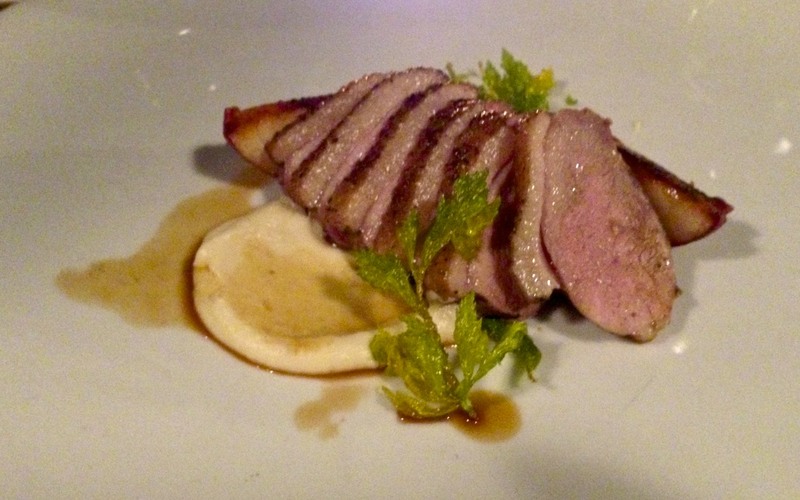 Third course: pan roasted duck breast with charred peaches and roasted celery root purée. The Shiraz was a fantastic pairing with the duck. 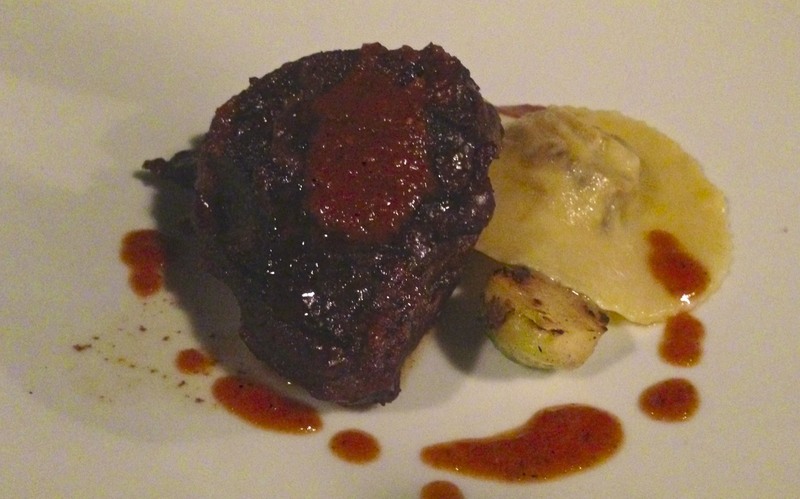 Four-course: braised veal cheeks and ox tail ravioli with caramelized brussels sprouts. 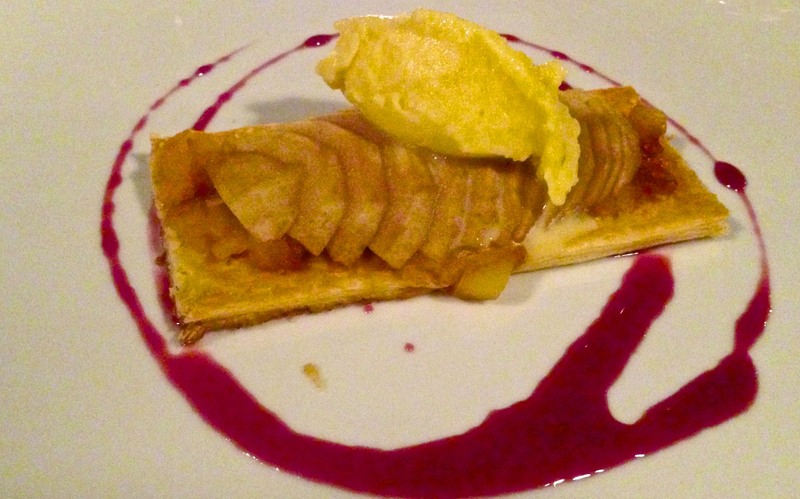 Finally for dessert: spiced pear tart with fennel ice cream. This was by far the most versatile wine I’ve ever tasted. And this meal is one that I will never forget.